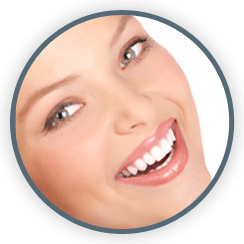 Our dentists are experienced in cosmetic dentistry ranging from direct and indirect veneers, to crowns and bridges. Direct veneers (bonding) are done with tooth coloured composite resin that is layered onto your teeth. The biggest advantage is that you can walk away with the newly modified teeth on the day. Modifications in shade or shape are possible with this kind of veneers. Indirect veneers are made of porcelain in the laboratory. Two appointments are generally required to prepare the tooth and to insert the veneer. In the first visit, the teeth are prepared in the clinic, an impression of the teeth will be taken and sent to the laboratory. In the second visit, Porcelain veneers are then bonded onto the tooth surfaces with a special bonding agent. Porcelain veneers have the advantage of being able to mimic your natural teeth shading and translucency. They can be more aesthetic than direct veneers. Crowns are highly recommended for root canal treated and fractured teeth. Crowns are thin tooth shape shells that encircle the whole tooth and seal at gum level, by doing so they help to rebuild and strengthen teeth. They come in different materials such as gold, porcelain fused to metal and ceramic. Material is selected to suit your condition. Similar to indirect veneers, two visits will be needed to prepare the teeth and insert the crowns. These treatments are suitable for people with chipped, discoloured, worn-down or missing teeth. Our dentists will design an individualized care plan to enhance your oral health and smile. Call for a FREE consultation to discuss with our dentists today.